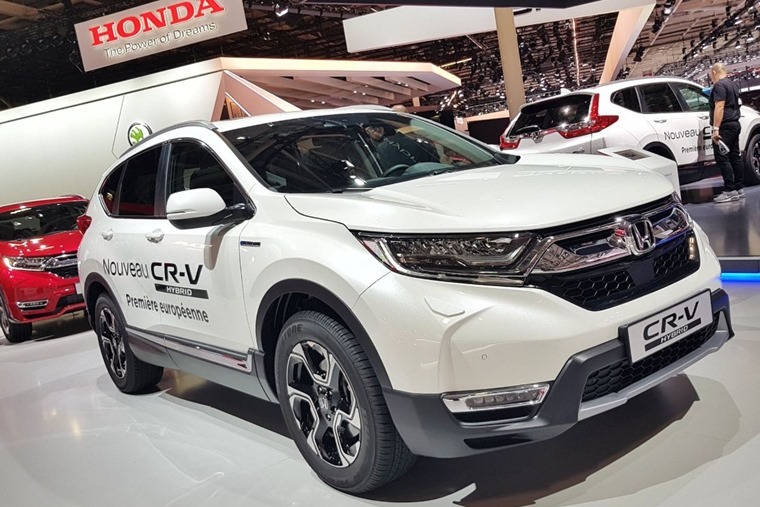 The Honda CR-V will be priced from £29,105 for the entry-level 2WD 2.0-litre petrol, rising to £37,255 for range-topping hybrid models when it hits the UK next year. 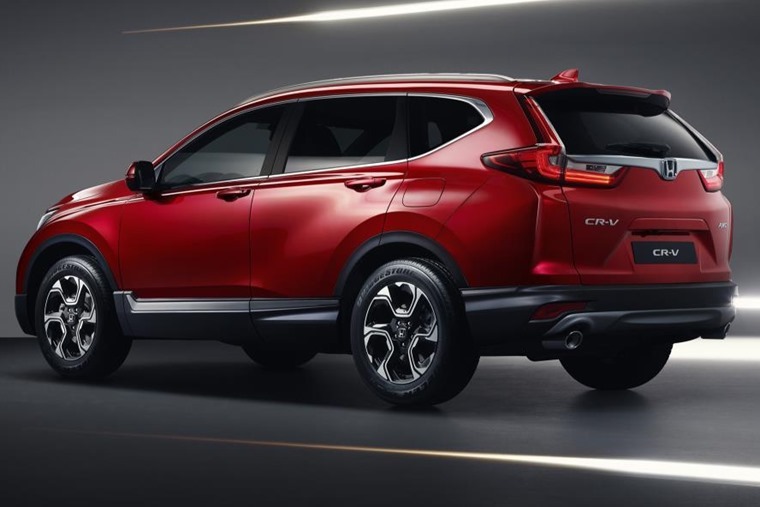 Having had its initial debut at the Geneva Motor Show, Honda promises the new CR-V will be the most practical and comfortable yet. 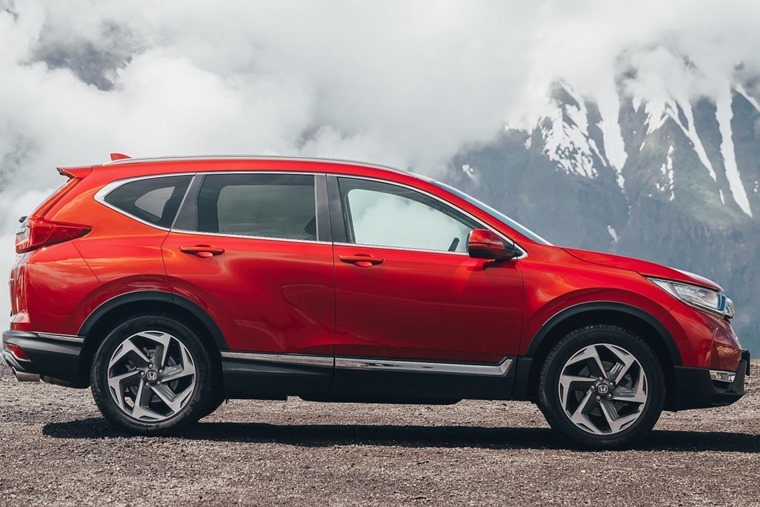 Available for the first time with seven seats, Honda’s engineers have heavily revised the vehicle’s platform with the wheels repositioned further towards the corners of the car, increasing the length of the wheelbase by 40mm, and improving ground clearance by 40mm. This change to the wheelbase, alongside an increase in vehicle width of 35mm, has unlocked further space for occupants, while retaining the same overall length. All three seat rows in the seven-seat petrol model have reclining seats, thus ensuring long-distance comfort for all passengers. Second-row seats slide back and forth by 150mm on the seven seater, to create a large opening and a comfortable seating position in the back, even for adults. The third row also fold down and tumble forwards to provide a larger boot capacity when not required. 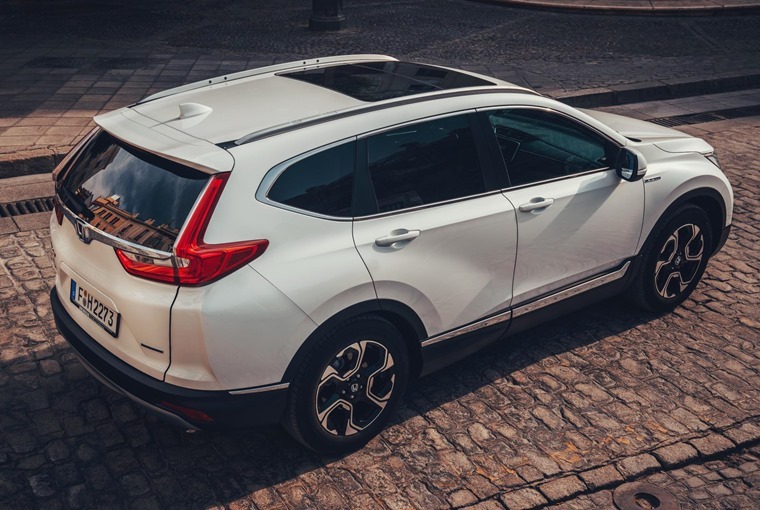 Boot capacity is also class leading with the biggest ever loading bay in a CR-V, offering a load space with a maximum length of 1,830mm on the five seater (or 1800mm on the seven seater) – up a whole 250mm on the previous model CR-V. This is big enough to accommodate a 19.5in frame mountain bike while another option for owners is to adjust the cargo floor into the lower position to provide a deeper rear boot space. The hybrid version is only available with five seats, however. 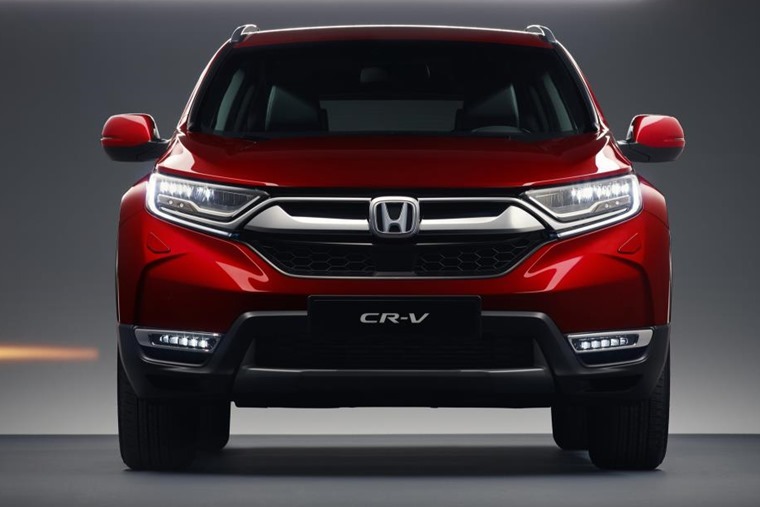 In the looks department, the CR-V has taken on a sportier persona than its predecessor, but its familiar silhouette remains. Slim LED headlights and revised grille and bumper are the most noticeable difference at the front. Changes are also present at the rear, where you’ll now find wraparound taillights that extend into the boot lid. The car looks all-round sharper than before thanks to thinner A-pillars and contours in the bonnet, as well as larger wheel and tyre combinations than the outgoing car. 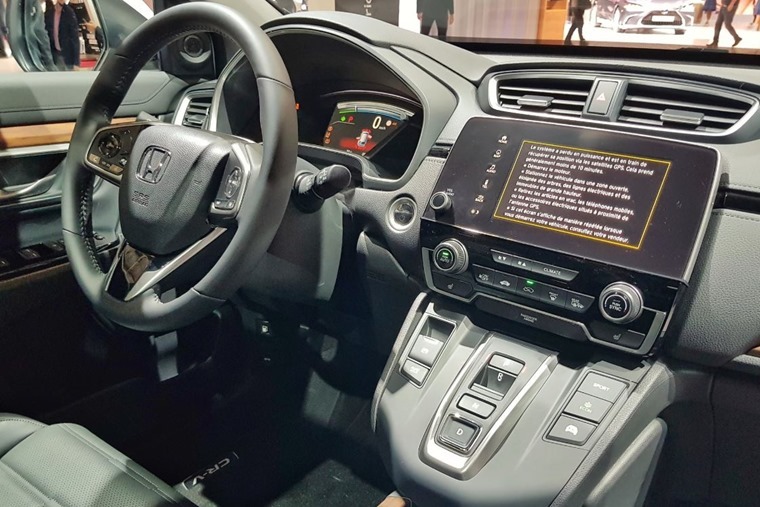 A lot of the in-cabin tech has been carried over from the latest Civic, including the 7in touchscreen infotainment system and ‘cluster-free’ heating controls. Cabin occupants in the front and rear can make use of extra-large capacity door pockets, a new three-mode centre console which adapts to a variety of requirements including a convenient tray for a smart phone, or a large capacity space big enough for a small handbag. Starting from Elegance trim, twin USB ports are available in the rear, providing charging points for phones, tablets and other personal electronic devices. Executive grades also benefit from a hands-free tailgate, complete with the ability to set opening height for use in confined spaces. 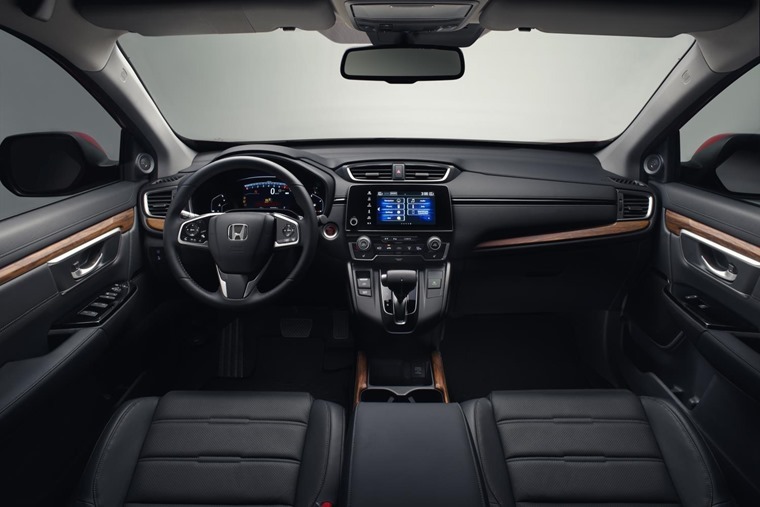 Standard across all grades is parking sensors and a rear view camera as well as Honda SENSING; Honda’s suite of safety features which includes collision mitigation braking system, forward collision warning, lane keep assist, lane departure warning, road departure mitigation, adaptive cruise control and traffic sign recognition. SR and EX will also feature blind spot warning and cross traffic monitoring, while the CVT version will feature low speed follow. SR grade also adds smart entry and start, leather interior, active cornering lights and front windscreen de-icer; while EX further includes a heated steering wheel, head up display, hands free access power tailgate, heated rear seats and panoramic glass sunroof. The drivetrains are made up of a single 1.5-litre petrol engine and that all-new 2.0-litre petrol-hybrid which has previously been seen in prototype. The former utilises Honda’s VTEC TURBO tech, and is available with a six-speed manual or CVT automatic transmission. The hybrid is a new Multi-Mode-Drive (i-MMD) system, that combines a conventional 2.0-litre petrol engine and two electric motors. In place of a conventional transmission, it uses a single fixed-gear that creates a direct connection between moving components. Combined fuel economy is 53.3mpg and CO2 output 120g/km. The i-MMD system also determines how to use fuel and electrical energy in the most efficient way, meaning there is no requirement on the driver to adjust between the three driving modes; EV Drive, Hybrid Drive and Engine Drive. 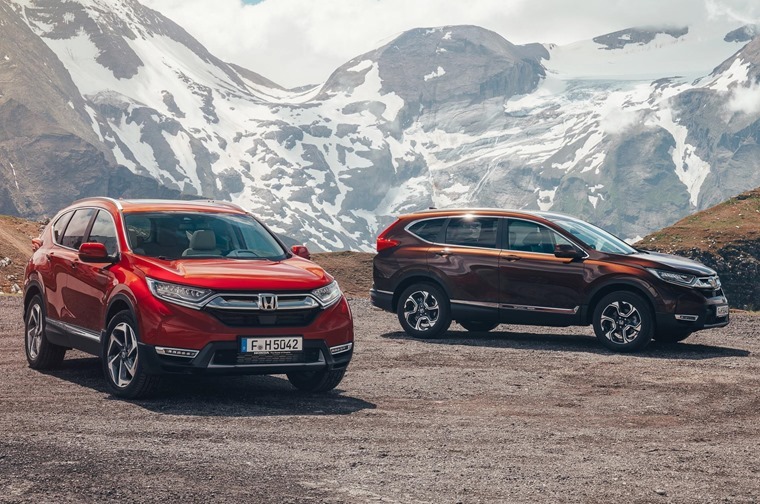 Lease rates for the new CR-V aren’t available yet, but if you can’t wait for the all-new version to arrive, you can check out deals on the current-gen car for less than £250 per month here.